My crafty biz has a new stockist: Mischief! 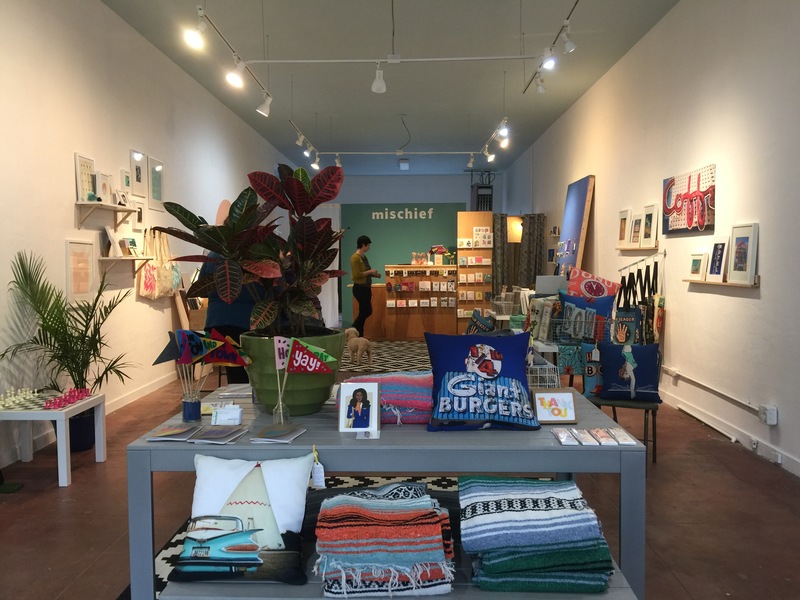 Mischief opened in the Laurel District of Oakland last month and it is looking all the cute. 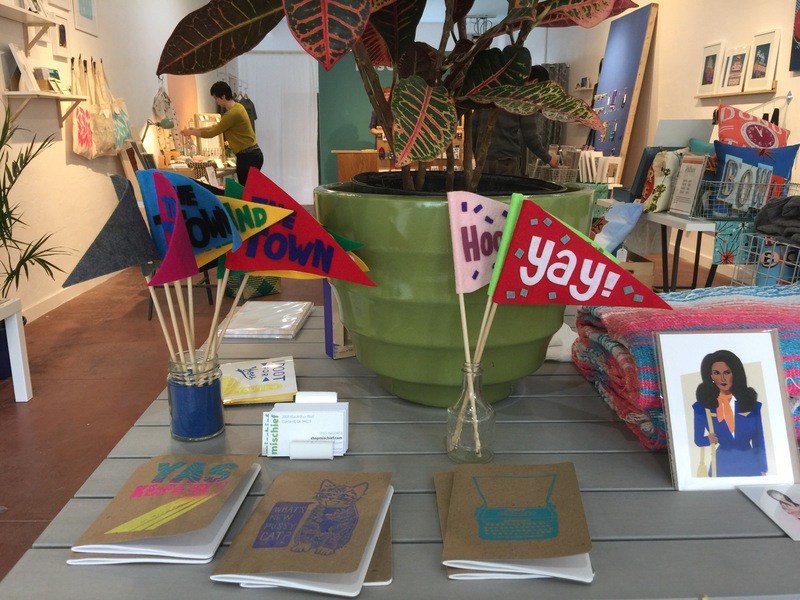 Owner Laura, and her Hubby and pup, run the shop and have curated a colorful array of locally handmade goods. 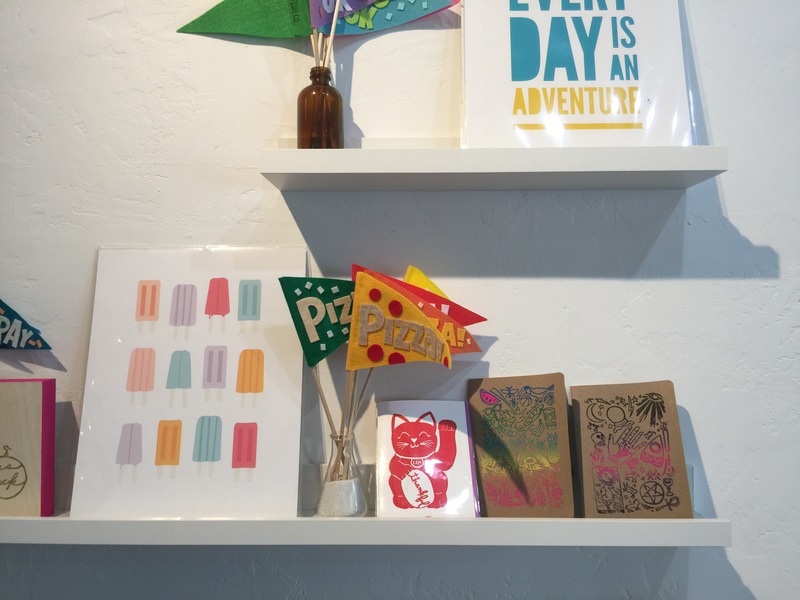 I am loving the simple layout and design of the shop; it really makes the products pop! I made a few custom pennant and wall hanging phrases for Mischief. Spot them all in shop! 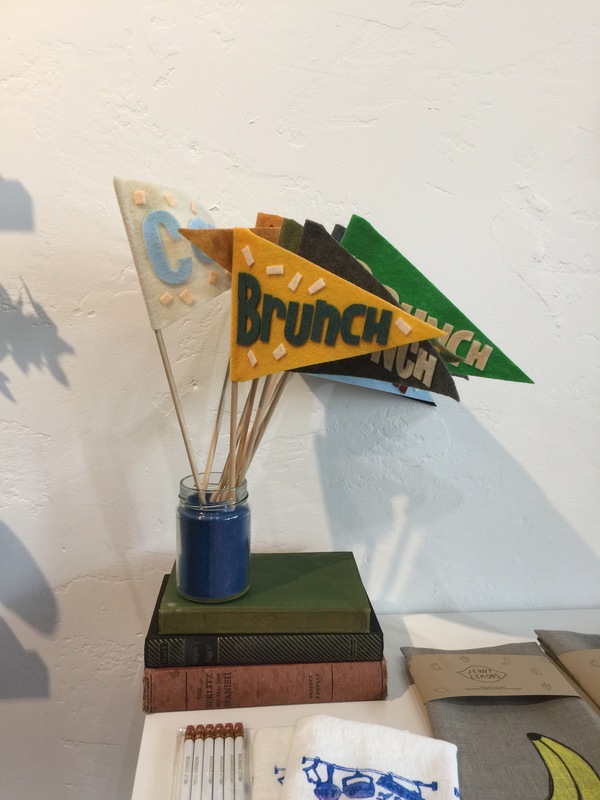 The pennants are scattered about and the wall hangings live on this wood board. I totally need a display like this for craft shows! 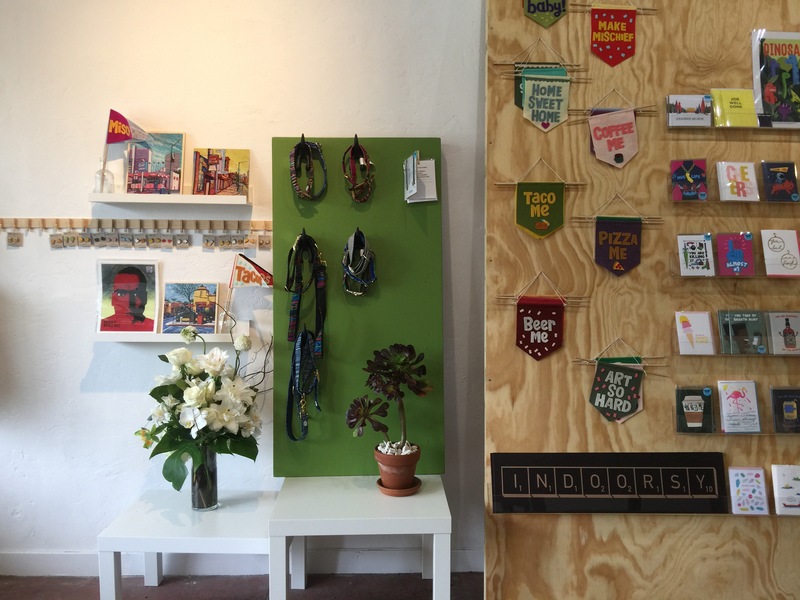 There’s a workshop space in the back and each month the store will be transformed to feature one or two artists of the month. Have you stopped by yet? Go, go, go!